Excellent condominium. Quiet, private pool, squash court, gym, mini mart. 2 mins from MRT. You wont find another condo like this. Spacious and comfortable layout. convenient shopping. Just mins to Nex and Junction 8. Yet the price is lower than the neighboring condos. Definitely value for money $$$$$. 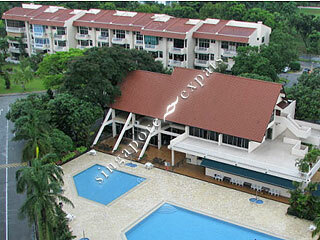 Excellent condo very centrally located and right next to Chuan MRT. The MRT is literally at the doorstep of the condo. Ideal for families with kids in the Australian International or French International Schools.